Cracked heels, also known as fissures, are a common cosmetic problem. If the fissures are deep, they can also be very painful and the skin may bleed easily. Walking may often increase the pain. Heels may appear yellow or dark brown and cracks in the skin are usually obvious. Skin will be dry and hard, thickened growth of skin may have formed, most commonly on the outer edge of the heel. Dry skin and inactive sweat glands. Prolonged standing can also contribute to the condition, as can wearing open-backed or thin-soled shoes, burns, skin diseases and insect bites. 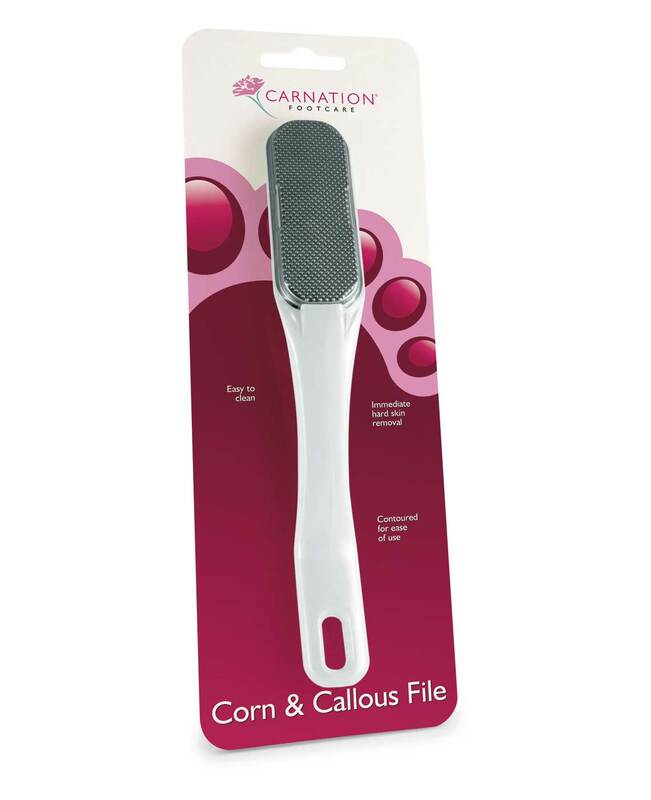 Regular use of a corn and callous file may help to reduce the thickness of hard skin. For ongoing problems, Carnation Cracked Heel Cream is a product with a unique formula to treat and restore cracked heels to soft, healthy skin. Available in 25g packs. The information contained within this website is not intended as a substitute for the advice of a healthcare professional. If you are worried about your feet, if you suffer from diabetes or need advice for other specific reasons, talk to your pharmacist, general practitioner or a chiropodist.